Beautiful beaches, buzzy restaurants, beach clubs, boutiques, hipster coffee houses, quirky exhibitions, photogenic streets and historic palaces… move over Barcelona, The Hague is your new city/beach break. 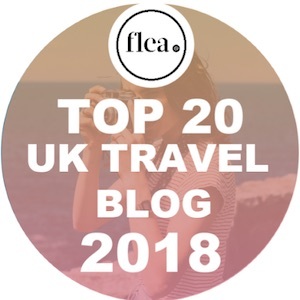 Find out the best things to do in The Hague in my informative travel guide. It’s quite rare a destination takes me totally by surprise. I’m a girl who loves researching minute details. I know the amenities of my hotel rooms before check in. I know where to go for the best views, before getting on the plane. I have a pretty well rounded view of what to expect from a destination before arriving. 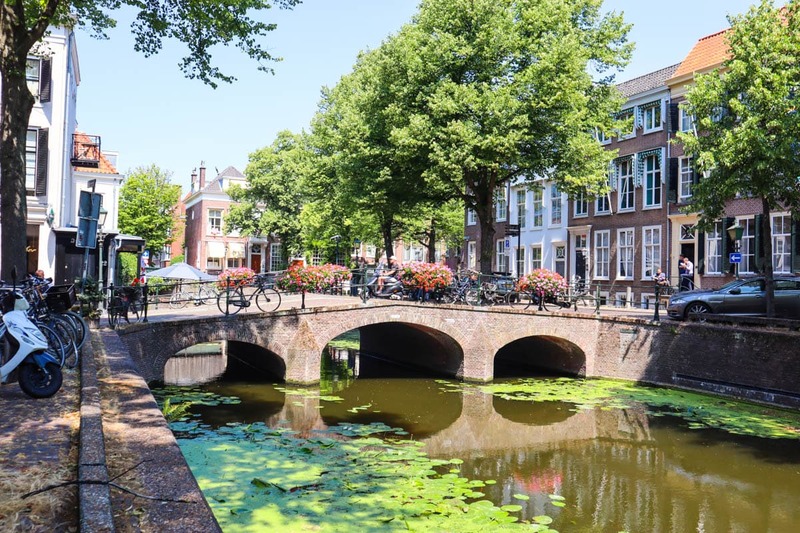 Although we were only spending three days in The Hague in The Netherlands, our itinerary was designed to show us a bit of everything. 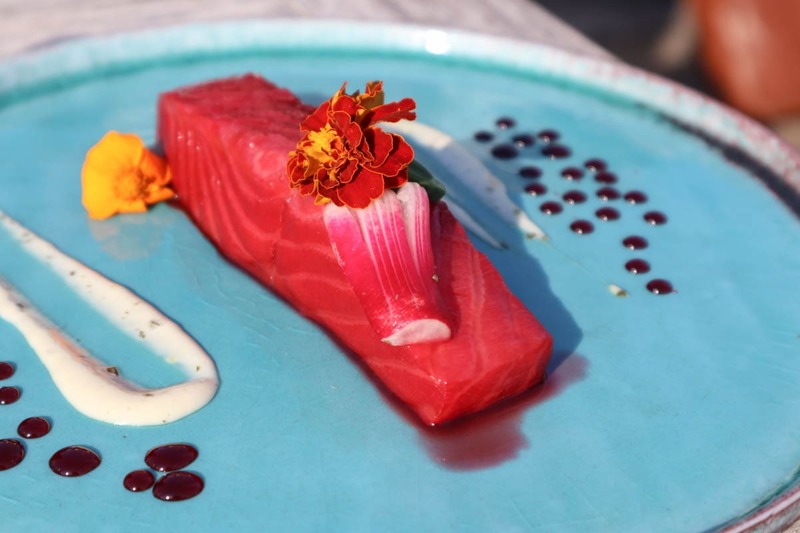 The beaches, the history, the art scene, the food scene. 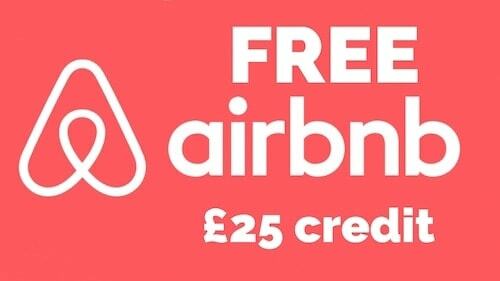 I expected it to be a city break similar to other city breaks… but here I am back in London, and I feel genuinely surprised by my experience. 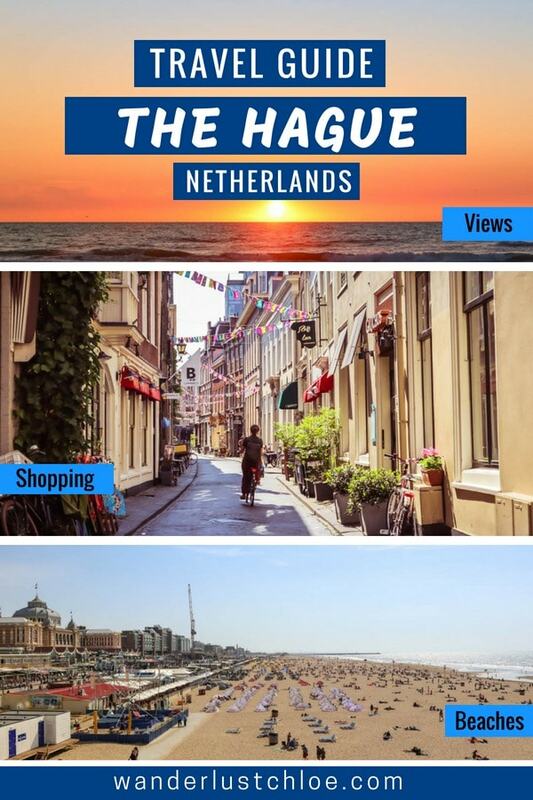 You see, I don’t know anyone who ‘holidays in The Hague’, but I would genuinely recommend it to those looking for an alternative to the likes of Barcelona and Lisbon. At times it reminded me of a Dutch version of Brighton. It’s got wide, pristine beaches with super-soft sand. It’s got a city buzz with streets filled with independent restaurants and squares for al fresco dining. It’s also incredibly photogenic. 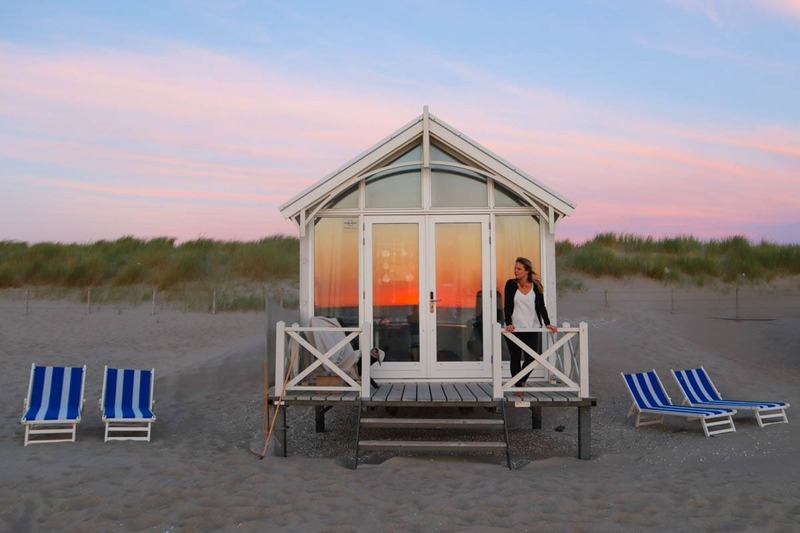 It’s perfect for couples, with cosy beach huts to snuggle up in and romantic dining spots. It’s great for families, with a fun-filled pier with a ferris wheel, plus Madurodam (miniature world) close by. So here I am, flying the flag for The Hague. And if you still don’t know why to visit, here are a few of my top reasons. My big reason for recommending The Hague is that it fulfils two sets of criteria. 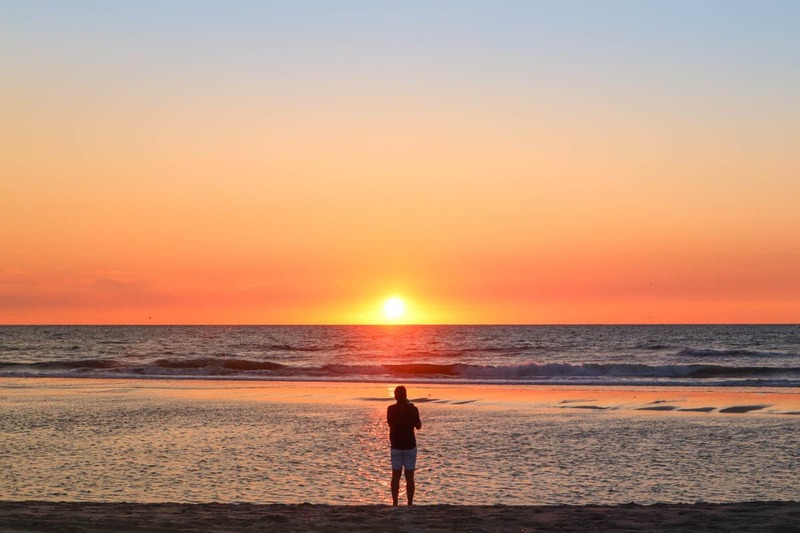 Hop on a bus or a tram in the centre of The Hague and in under thirty minutes you can be on Scheveningen or Kijkduin Beach. 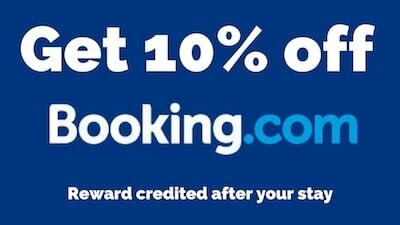 Both are wide with soft sand and plenty of cool beach clubs, surf schools, and places to hire sun loungers. 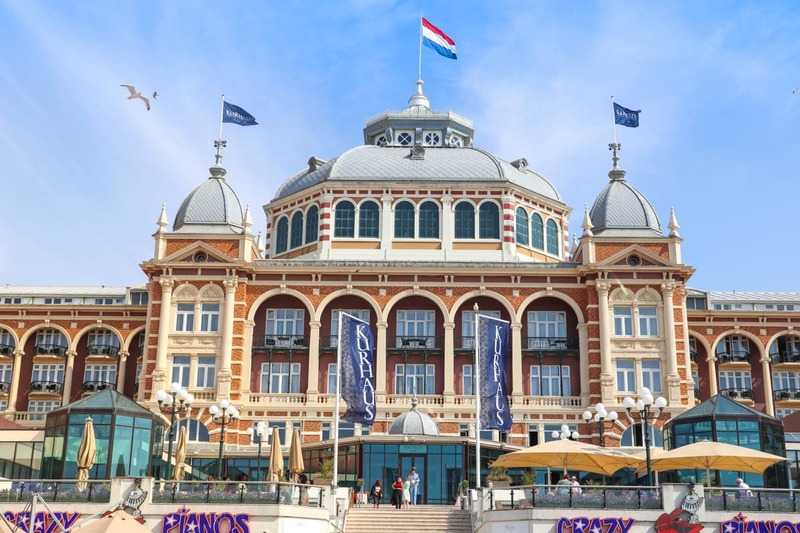 Scheveningen is more of a ‘resort’ with its pier complete with ferris wheel, bungy jump and famous grand hotel ‘Kurhaus’. Meanwhile, back in the city centre you’ll find streets lined with boutiques and hipster cafes, historic palaces, parliament and galleries. If you want a bit of everything, it’s a great destination. Even The Hague has a few canals! I’ve mentioned that it’s a great beach break, but genuinely, I had no idea the beaches would be as special as they are. They’re really wide, the sand is very soft and they go on for miles! There’s a long promenade making it a great area to explore on foot or, in the Dutch way, on two wheels! 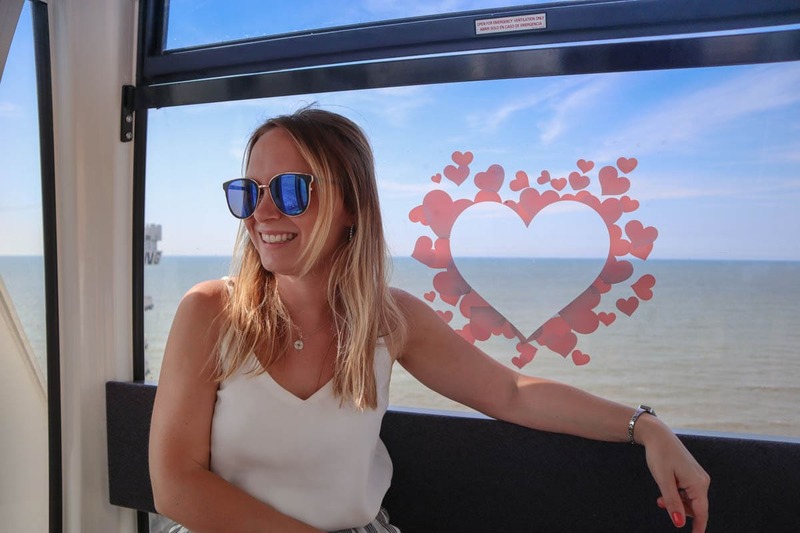 While the weather isn’t as consistent as say St Pete in Florida where I was recently (also famed for beaches), but The Hague is just a short hop from London! The flight to Amsterdam takes 40 minutes, and then it’s 30 minutes on a train from there. There were plenty of people in the water at Scheveningen when we visited, lots of people flock here for surfing and kite surfing, as winds can pick up over the North Sea. In fact, watersports are one of the top things to do in The Hague. Shopping is definitely one of the top things to do in The Hague. This is where I’d definitely compare The Hague to Brighton – one of my favourite England seaside towns. 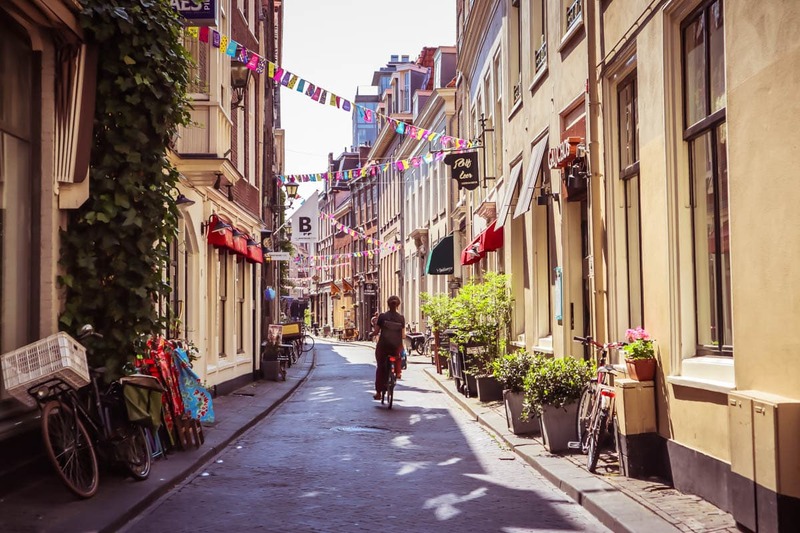 Just head to Hofkwartier, close to Noordeinde Palace, and you’ll find several cobbled streets with a mix of stylish boutiques, vintage stores, galleries and antique shops. The colourful bunting and plethora of plants makes it even more photogenic! Molenstraat was a favourite of mine with fashion stores including Listed (loved this shop, and it stocked some chic Scandi brands), JUST – Used Treasures and Episode (a vintage store). My favourite discovery was Collectiv. 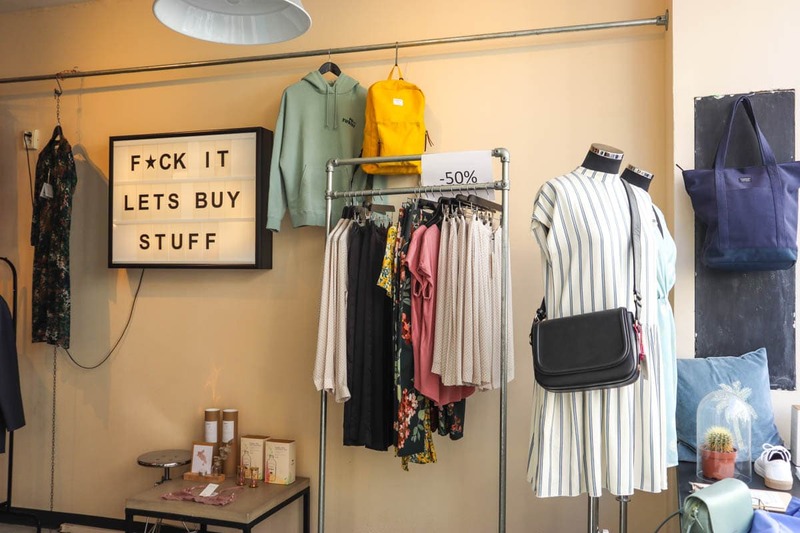 – a store selling the work of 25 different designers, with everything from jewellery and clothing, to unique lights and fun gifts. I spent a long time in there, and wanted to buy pretty much everything! 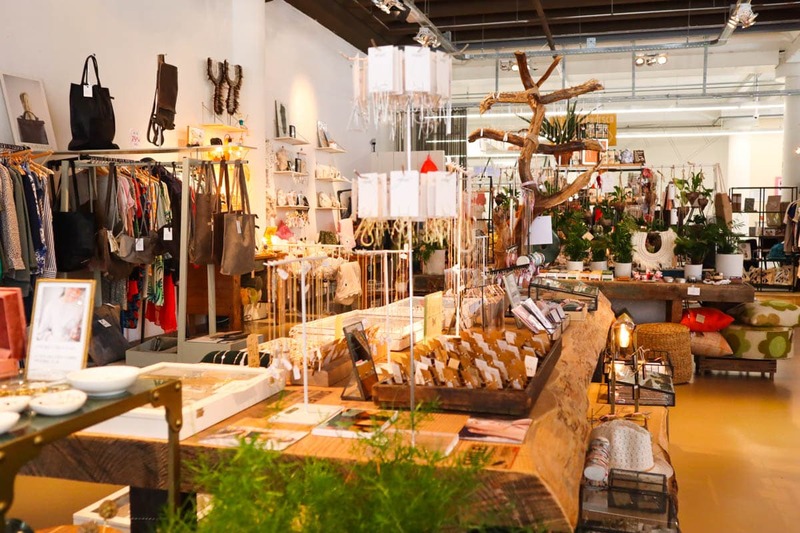 One of the top things to do in The Hague – shop! 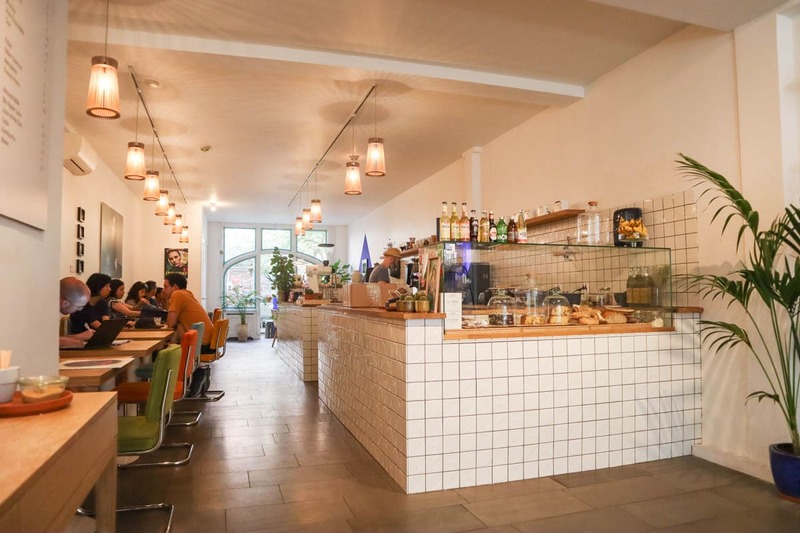 If you need a caffeine fix, check out Filtro Coffee, a relaxed café with big tables (perfect for laptop days) and the best cappuccino of my entire time in the Netherlands. 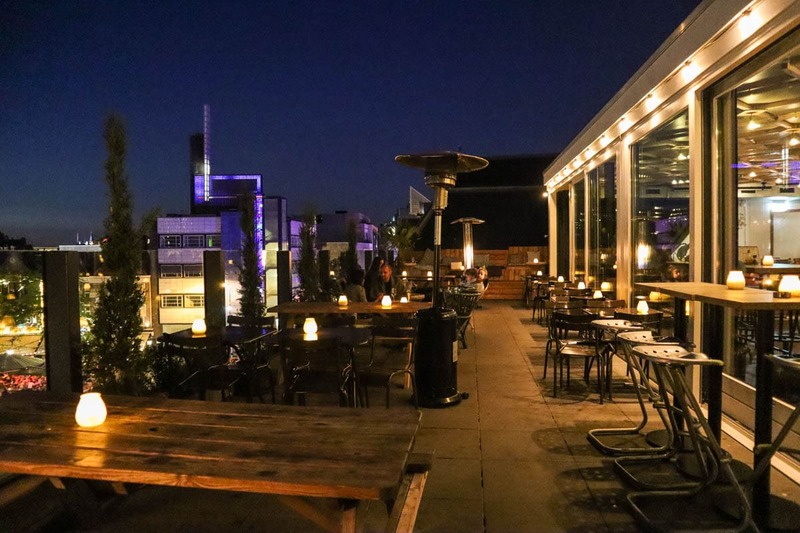 And for a fun treat, nip opposite to Donuts & Co.
Who doesn’t love a rooftop bar? Bleyenberg is a vibey spot come day or night. 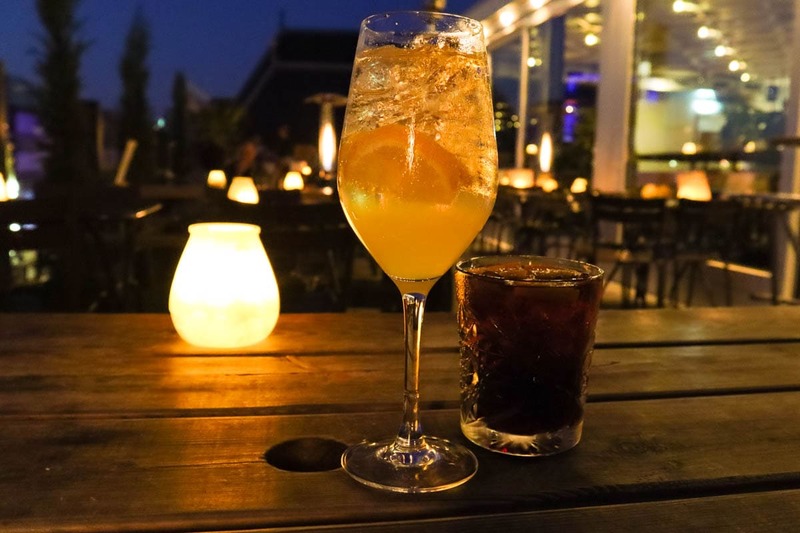 This multi-purpose restaurant and bar is making a name for itself with its menu of Italian-inspired cocktails (limoncello spritz anyone?) and iced coffees. On warm days it’s a sun trap, and at cooler times you can cosy up near the flickering fires. Jamey Bennett is a cool food and drink spot in the heart of the action. While I loved the interiors, the weather was just too lovely to be tucked away inside. 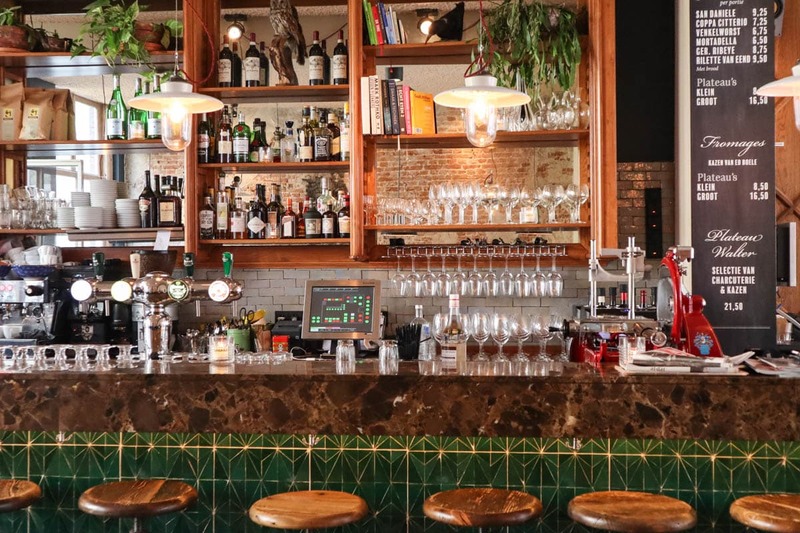 Along with a long list of G&Ts, they serve a menu of sharing dishes including beef carpaccio, raw tuna pizza, scallops and buttermilk fried chicken. Meanwhile, Walter Benedict is a casual spot for any time of day – from breakfast through to dinner and drinks. 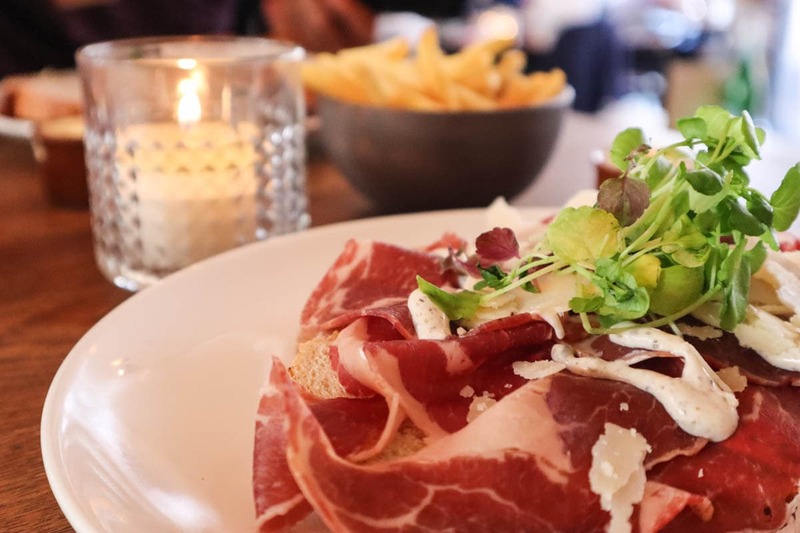 With items including charcuterie platters, steak tartare, burgers, sautéed mackerel and lobster, this is a place that takes its ingredients seriously. My seared ribeye with truffle mayo and parmesan was delicious – as were their fries. Mmm! 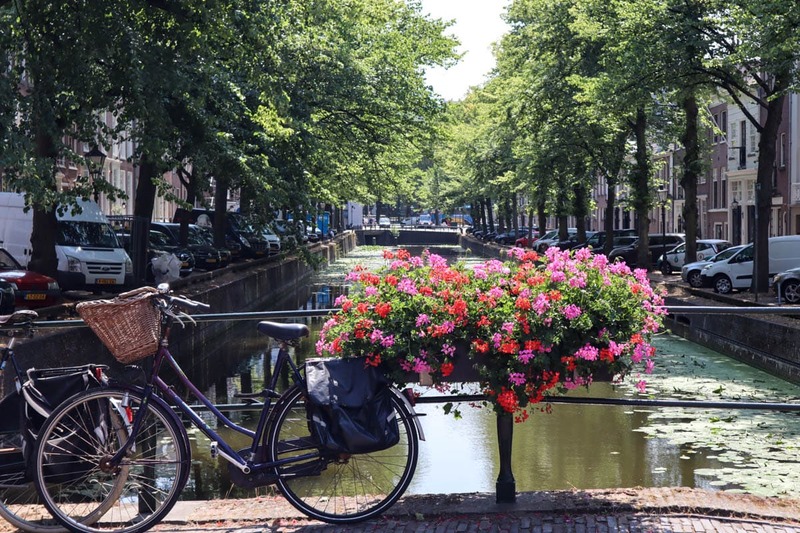 What’s one of the top things to do in The Hague when the sun is shining? Head to the beach! 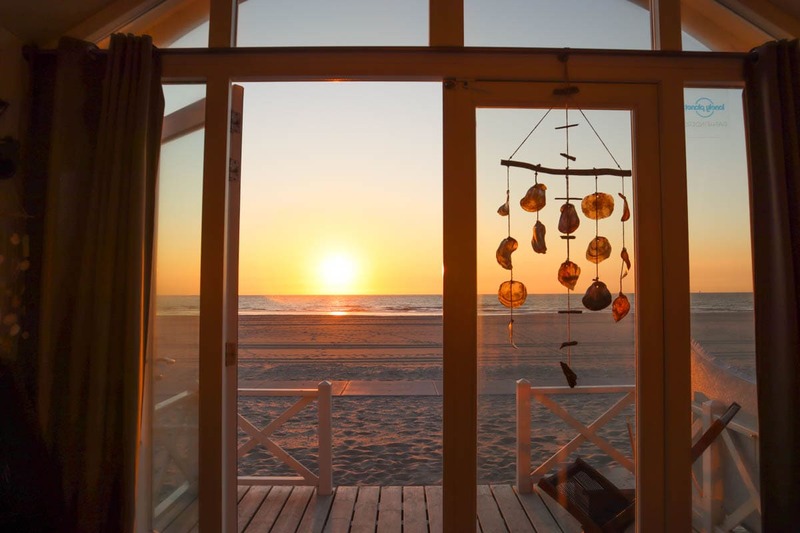 Scheveningen and Kijkduin are both home to several beach clubs, serving food and drink, and many offering space to relax or sun loungers. 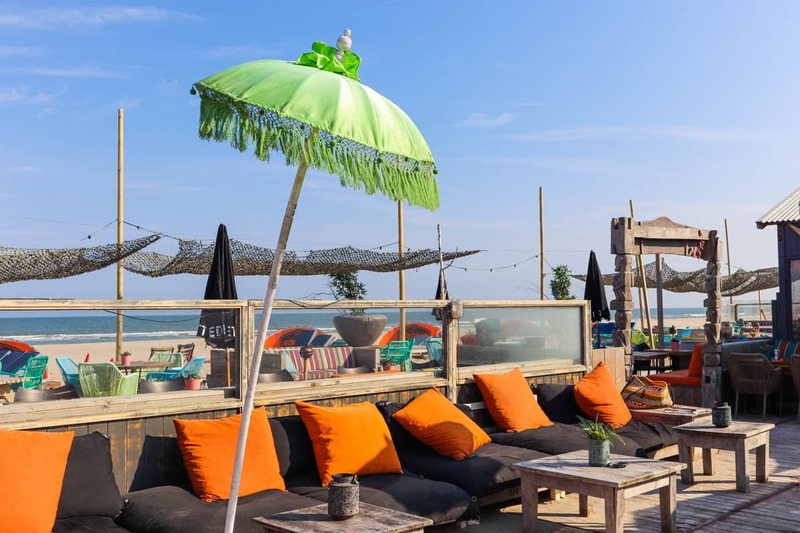 We enjoyed breakfast at Suiderstrand in Kijkduin, which reminded me of Bali‘s beach clubs in terms of décor, with its colourful mish-mash of furniture and decorative umbrellas. Over in Scheveningen, Hart Beach is another cool beach club with a surf school attached. 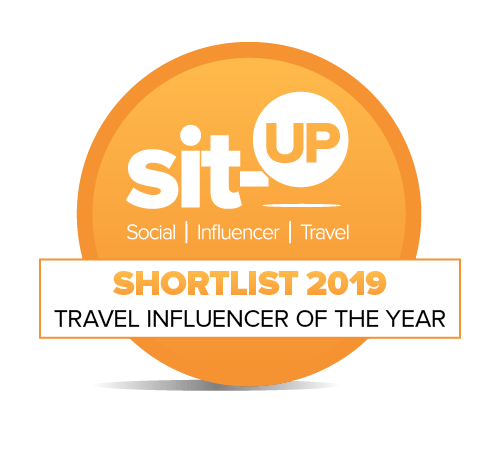 I loved the buzz in the early evening, as we watched the sun start to go down while enjoying ice cold drinks and tucking into beetroot-cured salmon and BBQ’ed chicken. For art that makes you question reality, pay a visit to Escher In The Palace. The Dutch graphic artist created amazing optical illusions that your brain will struggle to comprehend! It’s one of the most popular attractions in The Hague. 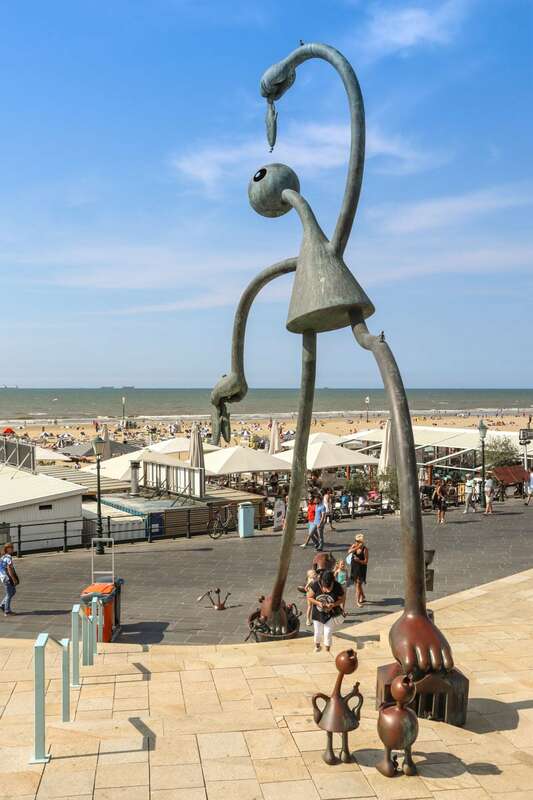 Meanwhile, in Scheveningen you can’t miss the bronze figures located on the boardwalk created by US artist Tom Otterness. He created twenty-three separate collections for ‘SprookjesBeelden aan Zee‘ (Fairytale Sculptures by the Sea) commissioned by nearby sculpture museum Beelden aan Zee. I thought they were a lot of fun! 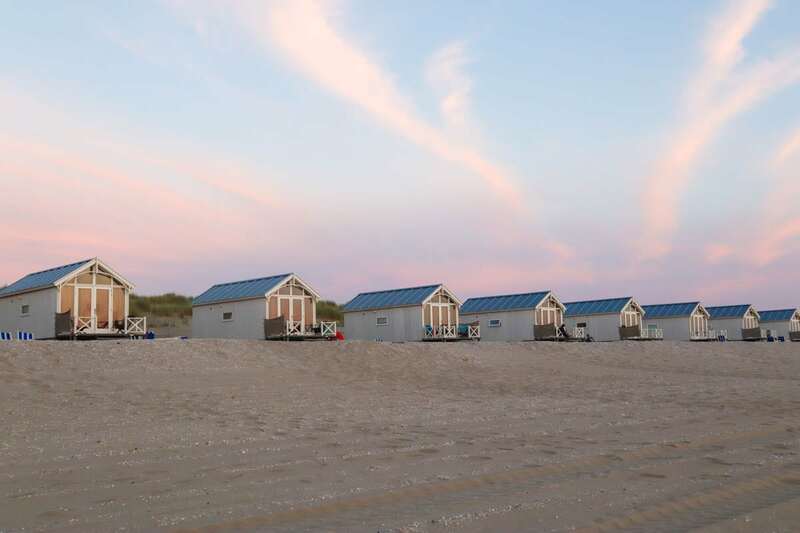 One of my favourite parts of this trip was our accommodation in the cute beach huts – Haagse Strandhuisjes. They’re fitted out beautifully, with everything you could need for a short break, including 2 bedrooms (1 double, 1 x bunk beds), a bathroom, lounge and kitchen area, and front deck. They even had beach games, fishing nets and deck chairs! Waking up and seeing that view and watching the sunset from there was SO special. I’d return in a heartbeat. Big thanks to The Hague Marketing Bureau for inviting me to visit. Find out more about The Hague and plan your visit here. I absolutely loved it! As always all opinions are my own. Thank you so much! I’m glad you enjoyed reading it. It’s a gorgeous place – you’re very lucky to have access to all of that on your doorstep!